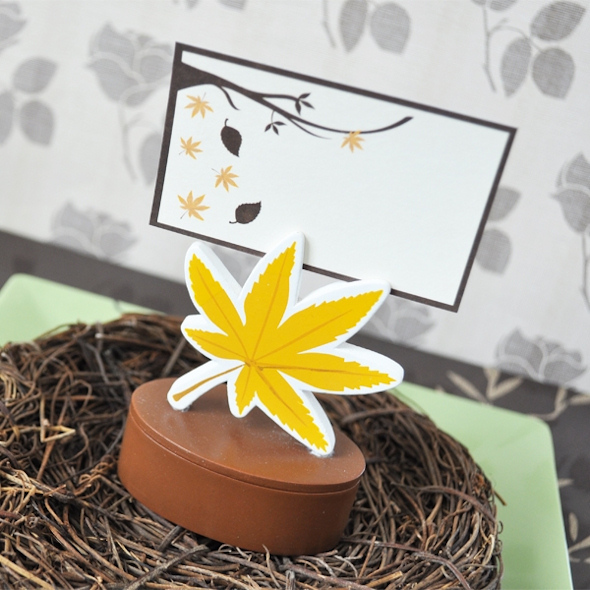 Capture the wonder and gracefulness of newly fallen autumn leaves with our place card holder that is also a favor box. 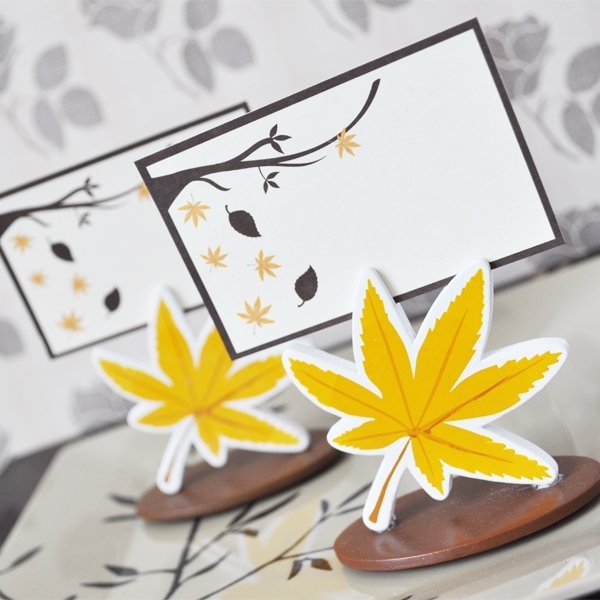 Your reception tables will look magical when you place one of these favors at each table setting. The enclosed designer place cards show your guests to their seats while the wooden base serves as a favor box that holds a sweet treat of your choice. 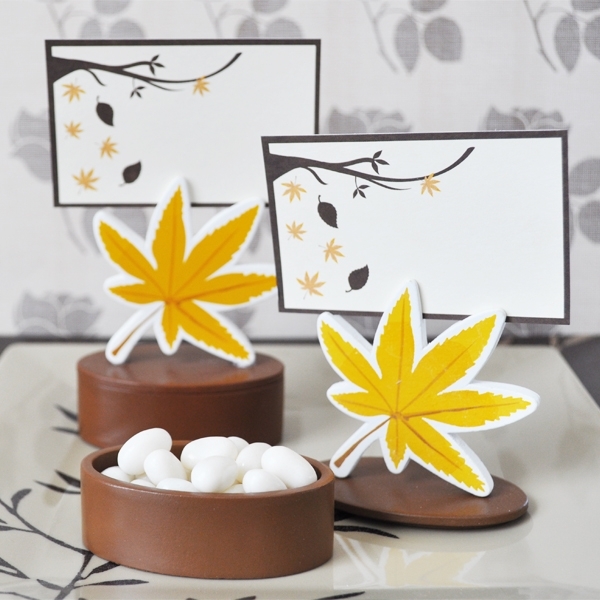 Measures 3.5" x 2.5" x 1.5"
Comes in sets of 12. NOTE: Clearance Item. All sales are final.